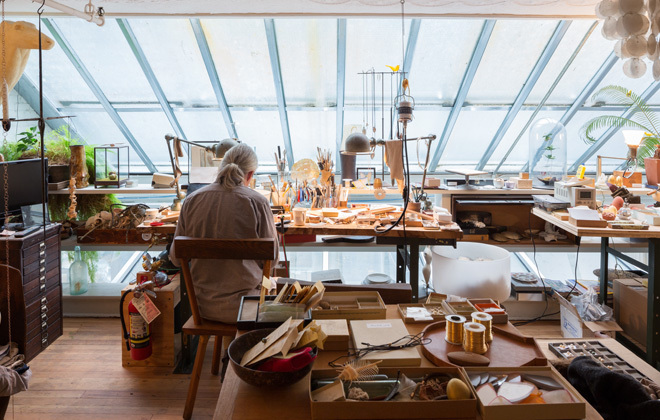 Ted at work in his atelier, which sits right above the storefront. If you want to know the secret of effortlessly cool “downtown” chic, then look no further than designer Ted Muehling – the original purveyor of minimal design and maximal elegance. 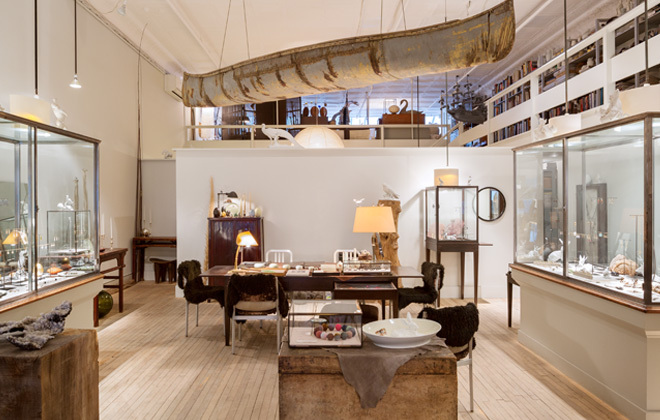 That is to say, those who are in the know, know Ted Muehling, and his fabulous Tribeca workshop and storefront. I just love the eclectic, yet simple interiors of the Ted Muehling store. Ted Muehling has been a fixture of the fashion world for over thirty years, but has managed to stay outside of the current trends in order to stay true to his ceaseless style and sensibility. Ted opened his first store in Soho, when the burgeoning neighborhood was still home to galleries and artists studios. He moved in 2001 to the almost hidden Howard Street, which soon began attracting the likes of design giants Opening Ceremony and Jil Sander. He has now settled his workshop and storefront on White Street in Tribeca, and hopefully he’ll be able to stick around for even longer. 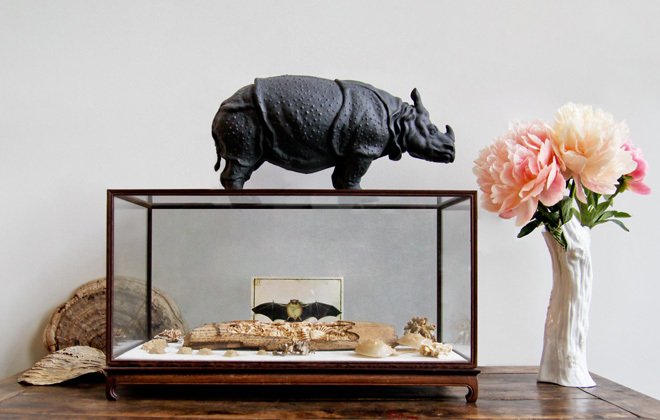 A perfectly curated display from the Ted Muehling Store. But even after years of top fashion editors and fellow designers hailing his work as timelessly stylish, he still insists on maintaining a small workshop, where he creates almost everything by hand with a small production team. And although this small, hand-made production makes it hard to come by his pieces, that doesn’t mean they are astronomically expensive! In fact, some of the most iconic pieces, like the drop earrings, haven’t changed price in 20 years. This is because Ted recognizes that elegance and true personal style should not be limited by resources. 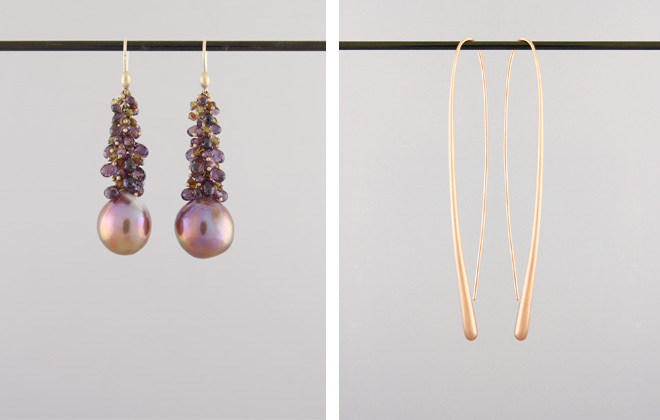 Left: Crunchy Top Mauve Pearl with Adalusite and Tourmaline Briolettes; Right: Long Drop Rose Gold earrings. Each one is distinct, each one is fabulous. Now, to the actual pieces themselves! I really admire the simple yet beautiful metalwork he uses, along with tasteful precious and semiprecious stones, pearls, plastic, horn and wood. 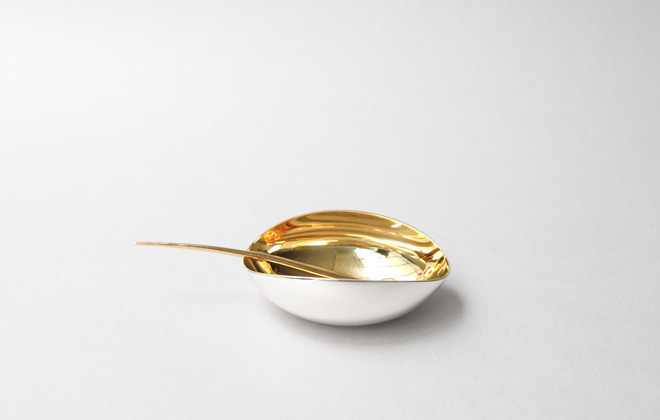 He seamlessly blends craft and natural forms into fine-looking pieces that don’t necessarily look crafty or handmade. 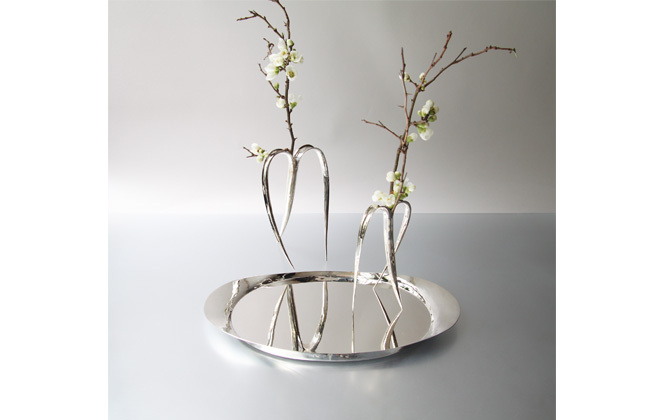 You can also find a range of beautiful table wares and objets at the Ted Muehling store, including elegant black candle sticks, centerpieces, and vases, all with shapes, colors and silhouettes reminiscent of the jewelry lines. And of course, to complete any look, a fabulous coffee table edition published by Rizzoli, Ted Muehling: A Portrait, a collaboration including the photographs by Don Freeman. I just love spending time in this shop, it’s so wonderful to feel the creation happening right there around you! Not to mention the absolutely amazing pieces that you come across. It has been a long dream of mine to have a store with a studio hovering above it and I think that idea came entirely from visiting this store. Ted Muehling truly is an old world maker with timeless style. 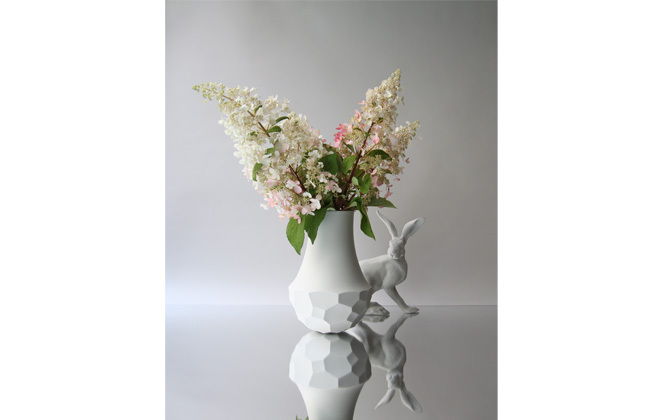 Large Tortoise Vase with Hare. All images courtesy of Ted Muehling, NYC.